There is a lot of confusion out there about hybrid cars. From an overall perspective, they seem like a great piece of technology because they utilize the power of a gasoline engine and combine it with the power of an electric motor. This doesn’t mean the vehicle itself is an electric car. It just means the vehicle is more environmentally friendly because it is not always demanding power from the engine in order drive and accelerate. Hybrid vehicles should be considered as gasoline-powered cars that have great fuel efficiency. Below we’re going to discuss all the pros and cons of hybrid vehicles. Based on this information, you can decide for yourself whether a hybrid vehicle is suitable for you or not. Warranties – Hybrid car manufacturers will usually provide customers with an 8-year warranty which covers the entire hybrid system in case anything goes wrong with it. Less Gas and Oil Needed – While hybrid vehicles don’t eliminate the need for oil and gas, it will certainly reduce the amount of it needed because the internal combustion engine won’t be used as much. If more people were to drive hybrid cars, it would be easier to conserve more fossil fuels. Fuel Efficiency – Since you are not using as much gasoline for your driving, this means you won’t need to fill your gas tank as often. This will lead to gas savings, especially if you mostly drive around town or within a city where the traffic is slower. Tax Credits – People who purchase and use either an electric vehicle or plug-in hybrid vehicle will be entitled to a $7,500 federal tax credit on their income tax. This is not available with plug-in hybrids of all manufacturers, so make sure yours is approved. Eco-Friendlier – It would be nice to say that hybrid vehicles are 100% eco-friendly, but they are not because they still use gasoline. However, they are better for the environment than traditional gasoline-powered vehicles because hybrid vehicles produce fewer carbon emissions. This is one step closer in the right direction toward fighting global warming. Slower Driving – You won’t be able to drive as fast as you might want with a hybrid vehicle. Although the car allows you to drive at high speeds, you will be using more of your gasoline power if you do. This would defeat the whole point of getting a hybrid car in the first place because it’s supposed to be about using more electrical power and less gasoline power. Therefore, you are always encouraged to drive slower in order to utilize the electric motor power more. More Expensive – Hybrid cars are typically several thousand dollars more than conventional economy cars. 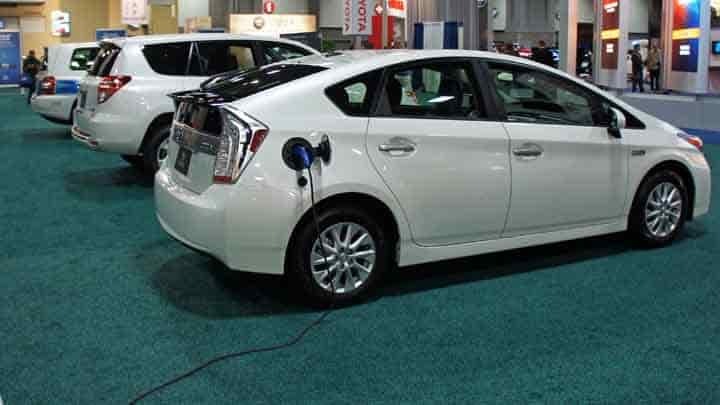 You can expect to pay a minimum of $23,000 for the cheapest hybrid vehicle. This might not seem that much, but it is about $10,000 more than the cheapest economy car. Cost vs. Gas Savings – Although you will be saving money on gas because your hybrid vehicle will consume less of it, the total savings on gas still won’t outweigh the extra money you spend on the vehicle itself. So, you may not really see the cost savings when you are paying more money for your monthly premium than you would have if you had purchased a conventional vehicle. More to Repair – If there is a problem with your vehicle’s functionality, then you will have more areas for your auto mechanic to look over and diagnose. There could be problems with the electric motor or the gasoline engine, which means you’ll be spending even more money on repair costs for these parts.